How Stean Force is a nice little waterfall on How Stean Beck, about half a mile upstream from the spectacular How Stean Gorge. The waterfall is neither named or marked on the map which is surprising, especially as a public right of way fords the stream at the falls. To visit How Stean Force take either the path heading upstream from How Stean Gorge or descending west to the beck from Middlesmoor. Just before a stone bridge crossing the side stream of Armathwaite Gill take the gate on the left hand side. 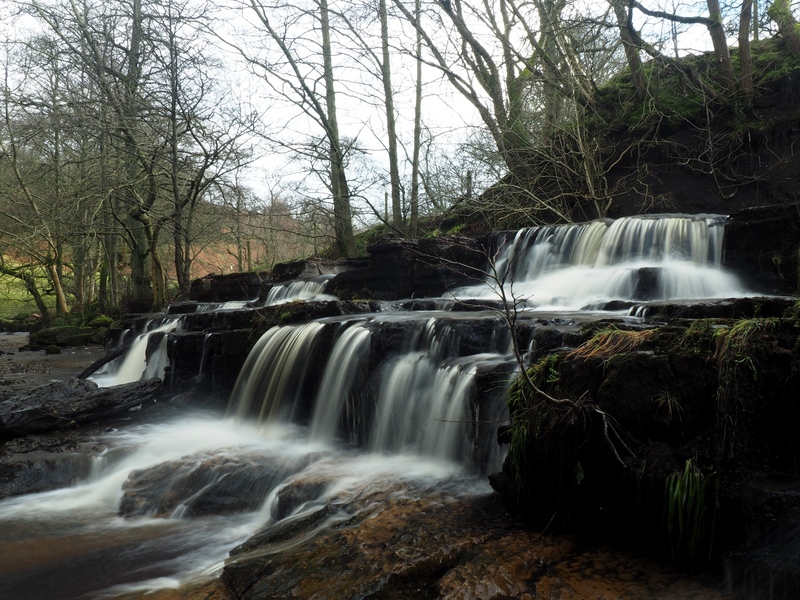 To get a proper close up of the waterfall it might be necessary to ford Armathwaite Gill but that is relatively easy.